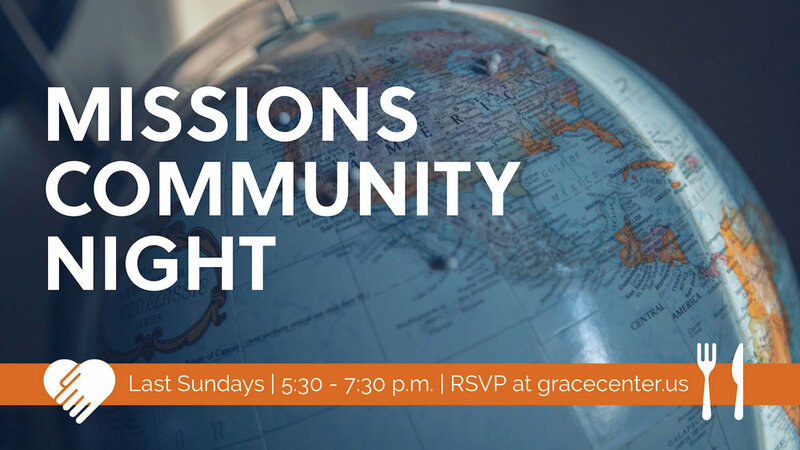 Our Missions department hosts potluck-style Missions Community Nights on the last Sunday evening of every month! Come share a meal and be encouraged that God is radically moving in the hearts of people in every part of the world. We will be sharing a potluck dinner and childcare is available. Everyone is welcome! Childcare is available if you RSVP below, and the potluck will be organized by last name. If your last name begins with S - Z, please bring a dessert to share.